Hi all! Happy Saturday! I’m super excited about this post today because I’m announcing my newest partnership! You all know how much I love a great mix, right? As much as I love baking from scratch, using a mix is where my heart lies. I grew up making box cakes, brownies, cheesecakes, and cookies. 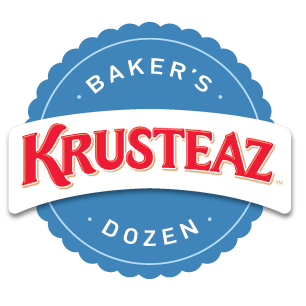 This is why I’m so excited to announce that for the next year I’ll be working with Krusteaz as one of their Baker’s Dozen! 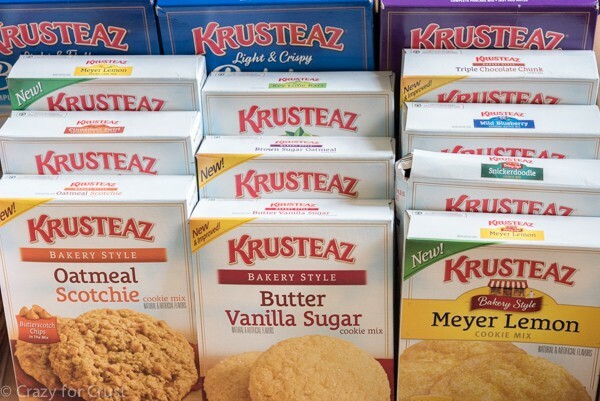 I have to say, I fell in love with Krusteaz when I was a kid. We bought one of the huge boxes of Pumpkin Spice Mix and I could not get enough of the bread it made! In fact, I still have a hard time eating pumpkin bread that’s not Krusteaz; my tastes want that flavor. And now my daughter asks for their Blueberry Muffin Mix every time we’re at the store. It’s her favorite! Over the next year I’ll be bringing you semi-homemade recipes using their sweet mixes. 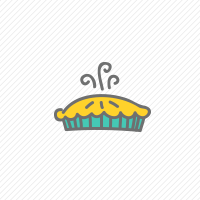 Muffins, pancakes, bars, cookies – you’ll see it all! They have so many mixes to choose from and there are so many things you can make with the mixes. I can’t wait to get started and share them with you! Watch for my fun recipes coming next month, and in the meantime be sure to follow Krusteaz on Facebook, Twitter, Pinterest, and Instagram! Have a great weekend! See you tomorrow with a recipe you’re going to love! Very cool pairing! Congratulations! 🙂 Looking forward to your recipes!